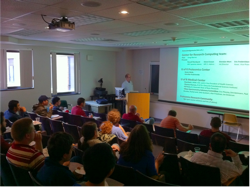 Every third Friday of the month, the Center for Integrated Research Computing hosts a research symposium (known as the CIRC Symposium), where faculty, staff, and student researchers convene to learn about research projects utilizing the center's resources, meet potential collaborators, and learn about new technologies and trends in research computing. This event is user-driven and features presentations by researchers using CIRC systems. CIRC Symposia are open to all members of the university community and a complimentary lunch is provided. Mark your calendars! Below are the dates for the 2018–2019 CIRC Symposium Series. The Center for Integrated Research Computing (CIRC) will host its next symposium on Friday, April 19, 2019 from 11:30 a.m. to 1 p.m. in Wegmans Hall 1400 on the River Campus. This month’s featured speaker is Suxing Hu from the Laboratory for Laser Energetics. 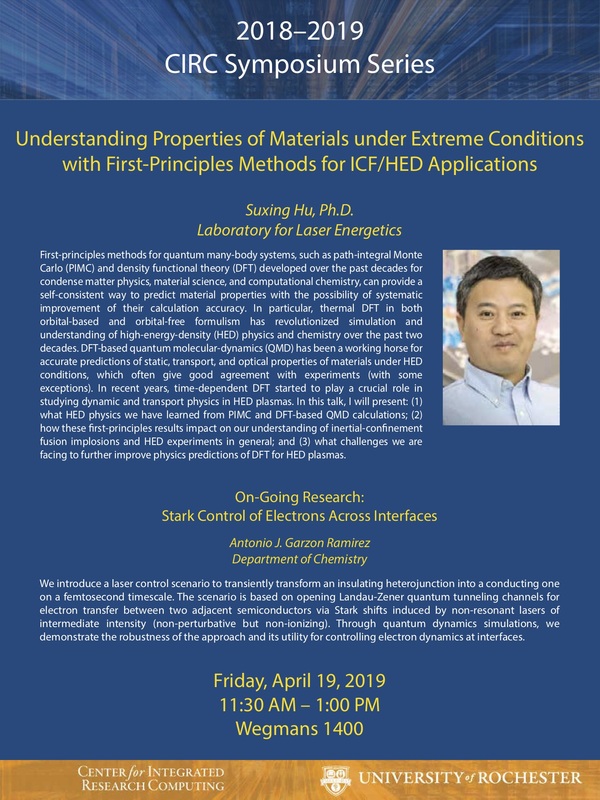 He will present his talk, ”Understanding Properties of Materials under Extreme Conditions with First-Principles Methods for ICF/HED Applications." This month's on-going research talk by Antonio J. Garzon Ramirez from the Department of Chemistry is titled, ”Stark Control of Electrons Across Interfaces." Titles and abstracts from previous CIRC Symposia are available. 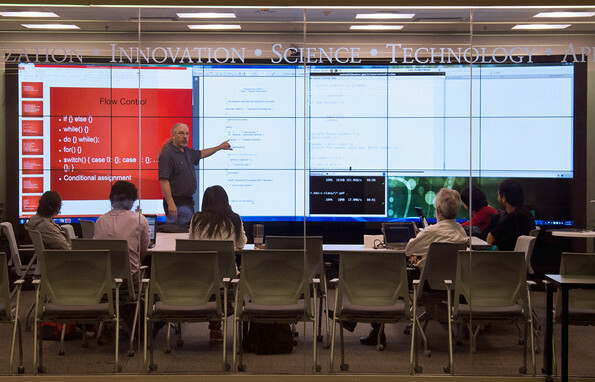 Every summer, CIRC hosts a six-week training session on various operating systems, programming languages, computational programs and libraries, and data analytics tools for the research community. Known as the "CIRC Summer School,” these workshops are broken down into individual topics and feature small, interactive, classroom-based instruction sessions. Topics range from basic training in Linux to optimizing codes for parallel computing. The courses are designed for beginner and advanced users alike. Extra emphasis is placed on using the various available languages, libraries, etc., specifically on BlueHive and Blue Gene. Check again soon for an announcement about the next CIRC Summer School! Have you ever wanted to learn how to program or add a new programming language to your existing knowledge? Have you been looking for the right time to pick up a few essential technical computing skills to help with your research projects or course work? Well, now you have the opportunity during the CIRC Winter Boot Camp! The Center for Integrated Research Computing (CIRC) hosts a multi-week winter program to help students, postdocs, research staff, and faculty learn new programming languages and sharpen their computing and data analytics skills. The classes are designed for beginners and cover basic topics to give enough direction to move on to self-learning tutorials or other more advanced coursework. Check again soon for the announcement of the next CIRC Winter Boot Camp! 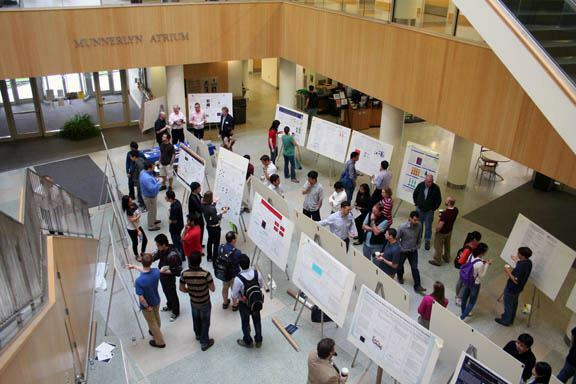 The Center for Integrated Research Computing holds the Annual CIRC Poster Session at the end of each Spring semester. 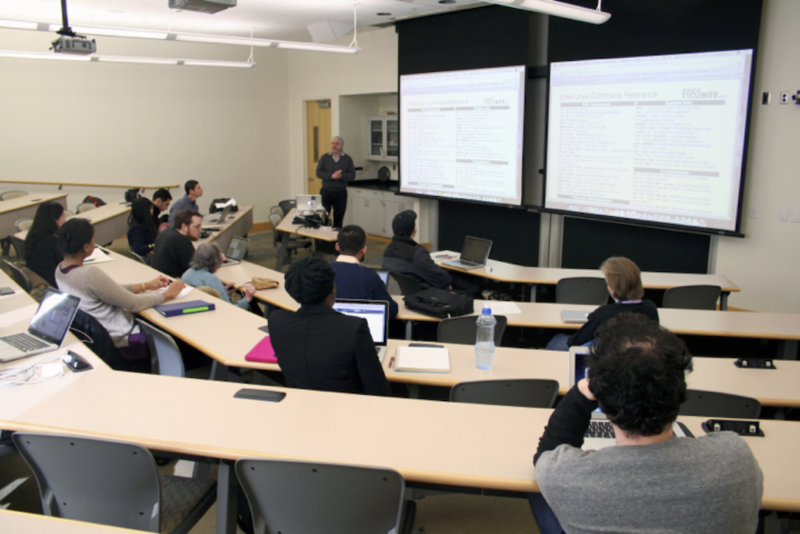 At this event, attendees discover the wide range of research that is enabled by computation and displayed to the University community. This event provides an informal venue to share computational and data analytics techniques and methodologies with colleagues from a wide variety of disciplines. Check again soon for an announcement about the next CIRC Poster Session! All workshops will require attendees to bring their own laptops and to have a computing account on BlueHive. CIRC will host the next workshop on Friday, April 12th, 2019 from 10 a.m. to 4 p.m. in the VISTA Collaboratory on the 1st floor of the Carlson Library. CIRC is hosting getting started workshops on Friday, April 12th.